Three classic tales. These stories are so familiar as to be almost genetic. They are the foundation for whole modern genres. Noir, Crime and Horror fiction were sired by Poe. 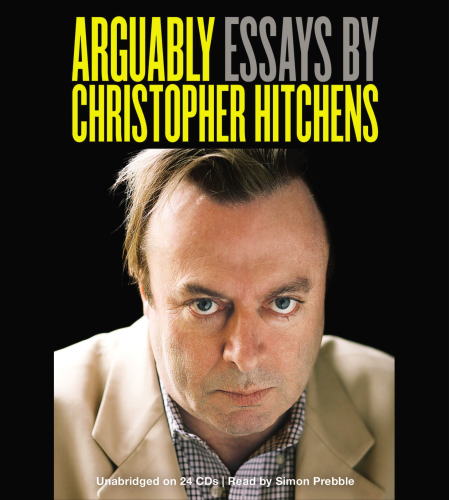 Hear three of his finest in this, their finest form. “The Raven” follows the curious events in one evening of unnamed brooding narrator. Whilst reading a tome of “forgotten lore” he hears a knocking on his door. What follows is a rhymed narrative rumination on the portentous meaning of the feathered visitor’s single utterance. Nevermore will you need to wait for another version. This one’s definitive. “The Black Cat” is a first person account of the alcoholic events leading an animal lover to the depths of depravity and beyond into horror. This tale seems to encapsulate the entire fevered imaginings of the American temperance movement. Its supernatural elements are minor compared to its un-romantic view of an unrestricted humanity stripped of the superego. In other words, it’s a killer story. “The Cask Of Amontillado” is a strong tale of cold, cavernous revenge served with a very dry sherry, one brick at a time. This is one of Poe’s most enigmatic works. What precisely the revenge is for, or if there indeed was any real vengence required (despite the narrator’s claim) has haunted scholars. However you interpret it, it does push all the “great horror story” buttons in you. 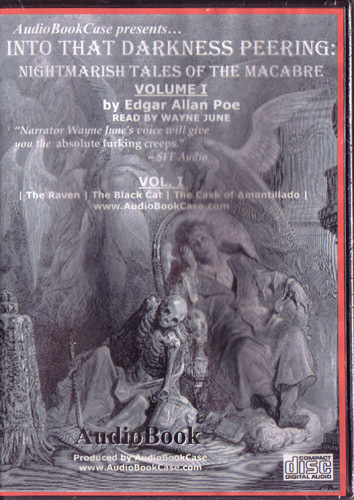 Narrator Wayne June assures us that he’s done his research on this new series of definitive Edgar Allan Poe readings, and in listening you’ll absolutely have to agree. Place names and pronunciations are perfect – accents and action are exact. You can often tell when a narrator is bluffing it, surfing through the sentences blindly. That absolutely doesn’t happen here. In Poe’s most famous narrative poem The Raven, for instance, there’s nary a line that doesn’t contain an archaic word that’d flummox. June never falters. He’s got them all sussed. The Black Cat too, has never sounded better. June captures the sympathetic first person narrative and then drives home the barbarity flawlessly. Light accents make “The Cask Of Amontillado”, the most difficult of the three tales here, flow like an old vintage newly discovered. There are already many versions of these three classics available on audio, but I’d venture not a single one could come even close to match any of these three. Wayne June’s voice is perfectly matched to the melancholic material. As was the case with his superlative Lovecraft recordings, nobody else’s voice is more more morbidly macabre than is Wayne June’s. This is essential listening.